Potato Omlettes | Simple and Delicious ! Break eggs into a bowl. Chop green chillies and onion. Heat a non stick frying pan, pour little oil. Use oil little more than you make ordinary omelettes. Pour 1 Tb spoon of the mixture, spread it pressing lightly with the back of the spoon. Make three or four such omelettes at a time. When one side is cooked and turned little brown, flip over. Take care without breaking omelettes. Allow the other side too cook well, take out from the pan. 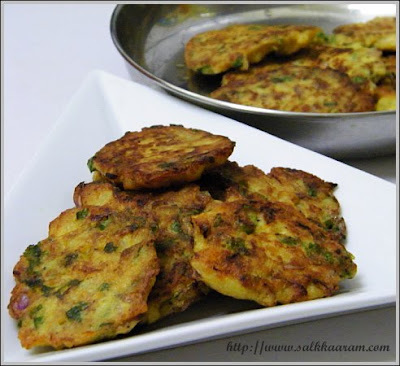 Seena..amazing n filling, I shall make it for my kids lunch box,tks for sharing! Looks like little cutlets, Seena. Nice variation. mashed potatoes in omelet..now, thats a great idea!! Very nice! !Love that you added cilantro. Hi Seena, this one is definetly delicious... I did not wait for tea, prepared it for lunch today ! Very simple and tasty recipe, thank you! Oh thank. i am in collage doing my study. it will help me in my exam time. thank for recipe. very interesting seena. beena used to make omlet with corn flour. i have told her about your new method. she said she will make this today evening and keep beside of my foster bottles. thanks a lot seena for new innovations. you won;t believe this.., as a teenager i used to make scrambled potato eggs.Add boiled potato to usual egg mixture and scramble. Now this is Something we thought alike, isn't :) ? Anyways only adding potato is similar. Looks good and yummy. this is really interesting..thanks for a new snack for kids and us too..
hope u r doing well. nice recipe.. can use it as a starter too. thanks seena. 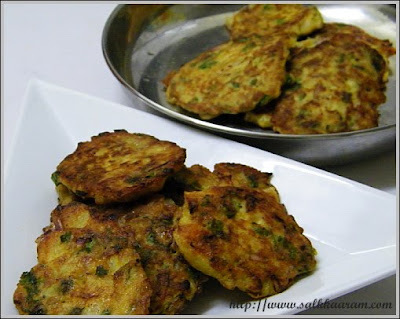 thanks Nimi for trying out, I am in Duabai now with kids, was little busy , thats why late to reply.. will reach you later..
this is a wonderful recipe. Hats off to your creativity. I will defn try this one for my daughter and I'm sure she will love it.